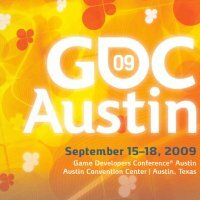 As organizers note, the many notable sessions taking place at GDC Austin include BioWare technical director Bill Dalton's talk on the tech complexities and struggles of developing MMO titles and Cartoon Network's Richard Weil's co-presented session on the financial and regulatory complications of online games for younger children. Also added is best practices for creating 'sticky' game designs from Zynga's Brandon Barber. 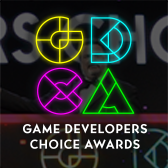 Other topics include viral growth tactics, harnessing community feedback to improve game design, micro-transaction security, and developing recognizable IP that appeals to all generations of gamers. - Talking in 'Challenges In Designing A Casual MMO', Sony Online Entertainment's Laralyn McWilliams will address the creation of Free Realms, presenting "a discussion of the user-driven design process the team followed, and a frank look at what worked for the team and for players...and what didnâ€™t." 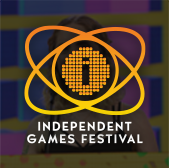 - Metaplace's Raph Koster is discussing 'Games are Math: 10 Core Mechanics That Drive Compelling Gameplay', with the intriguing lecture positing: "Games fundamentally model systems â€“ and thatâ€™s a topic that mathematicians wrestle with for a living! 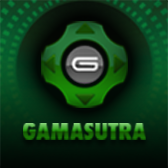 Are there particular math problems that make for great game mechanics?" - An interesting core MMO-centric panel called 'Making the Grade: What Gamingâ€™s Premier Guilds Really Think About You' spans Meridian 59 to Age of Conan and "will assemble five Guild Masters from gamingâ€™s premier player organizations to discuss the state of MMO gaming from top to bottom -- why they choose some games and quit others, how they approach beta testing, what they love (and hate) about our games, and what they still hope to see." - In 'Why We Need Heroes And Villains In Games', some of the key creators of the upcoming DC Universe Online MMO, including SOE Austin's Chris Cao and Jens Andersen, alongside DC Comics writer Marv Wolfman, discuss "why... tension between good and evil is so critical -- not only for telling a good story, but for making a video game." These lectures join confirmed keynotes by Sony Online Entertainment head John Smedley on the company's move into a wider market, and by a notable Blizzard duo on 'The Universe Of World Of Warcraft', as well as over 90 other lectures at the event, which has three days of main conference content focused on connected games, online games, virtual worlds, and social networking game play. "One of the unique challenges of GDC Austin is staying ahead of the next trend in the ever changing online gaming space. We have seen the industry expand and morph from MMOs to virtual worlds to online social networked free-to-play casual MMOs," says Izora De Lillard, event director at Think Services Game Group. "This September, we are proud to present a program focused on the lessons you need to harness current opportunities and the inspiration to develop the next breakthrough." GDC Austin also has four two-day summits including the Game Writers, Game Audio, iPhone Games and Independent Games Summits, takes place at the Austin Convention Center in Austin, Texas September 15-18, 2009. More information is available on the official event website, and early registration discounts of up to 25% will end on Thursday, August 13.